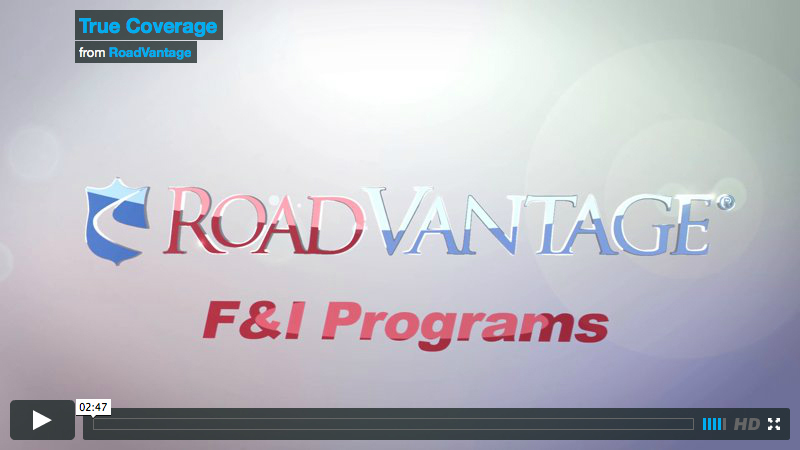 Austin, Texas (PRWEB) – January 12, 2015 – RoadVantage, a leading provider of progressive F&I programs for the automotive industry, today announced True Coverage, a fresh approach to F&I that simplifies contract language and dramatically reduces the exclusions that typically cause claims headaches for dealerships and their customers. With True Coverage, RoadVantage’s Tire & Wheel programs are now the first in the industry to streamline complex contracts and eliminate several exclusions that often create problems for dealers and agents, including construction zones, metal plates on the road, tire pressure monitoring sensors, snow tires, car washes and more. RoadVantage has applied True Coverage to its entire product line including the Vantage Preferred multi-option bundles, which also include coverage for hail damage, cosmetic damage to hubcaps, aftermarket wheel coverage with no surcharges, cosmetic damage on chrome wheels with no limits, replacement for wheels with cosmetic damage, and a replacement-only program for tires.